I’ve never been the flowers-type of girl. Chocolates are more my thing. 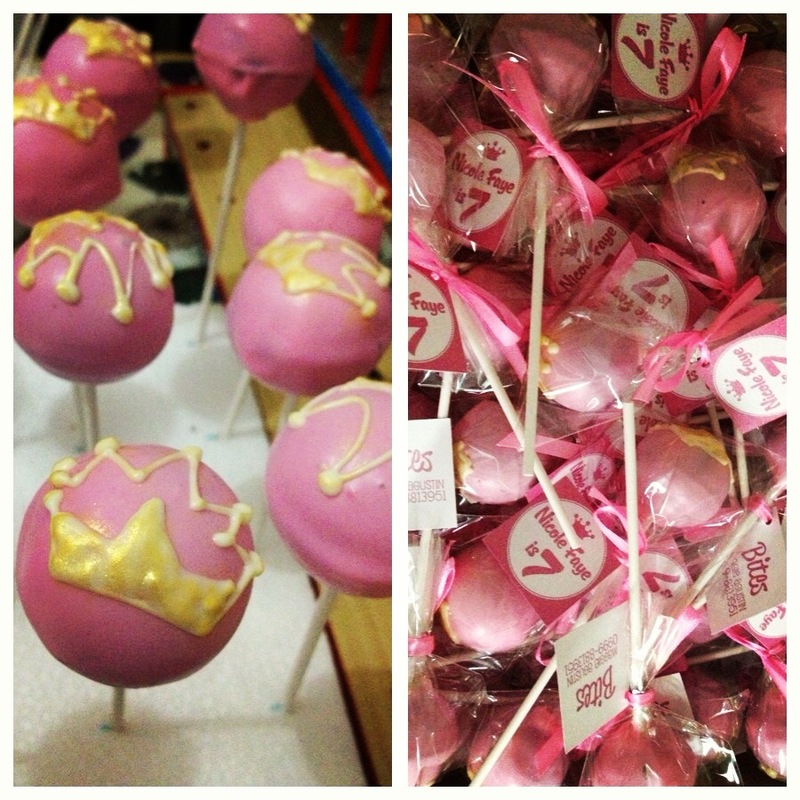 I think most women like something sweet too. 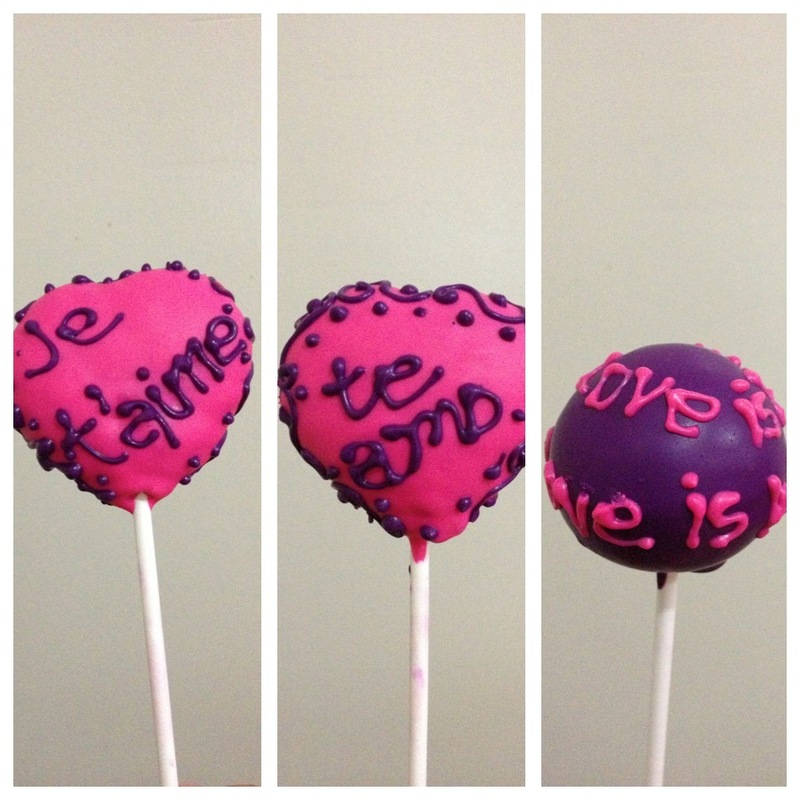 Inspired by hearts, swirls and foreign language, these cake pops are another sweet options for sweet people in your lives. 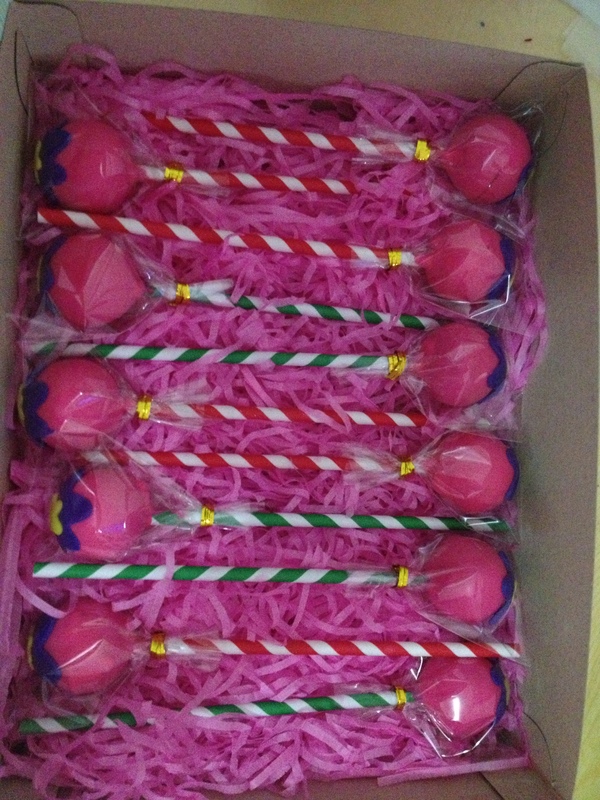 Most of the orders I (Maggie) received were for little girls. 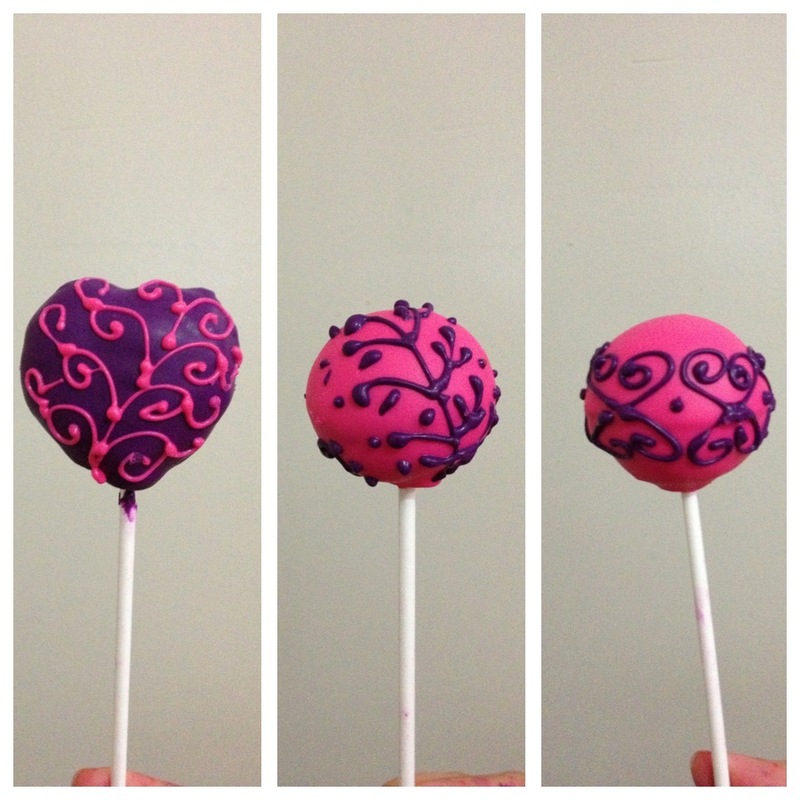 I just love making girly cake pops. Don’t worry, I’ve made some boyish pops too but girly ones are a personal favorite. Here are some of the pops I’ve made. Whew! It was an epic Christmas for us. 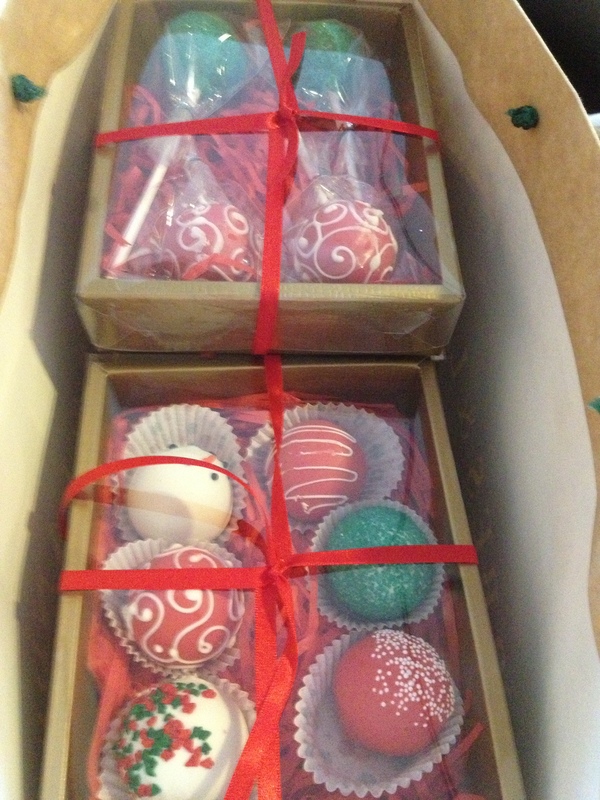 We had a orders upon orders of Christmas themed cupcakes and cakepops! 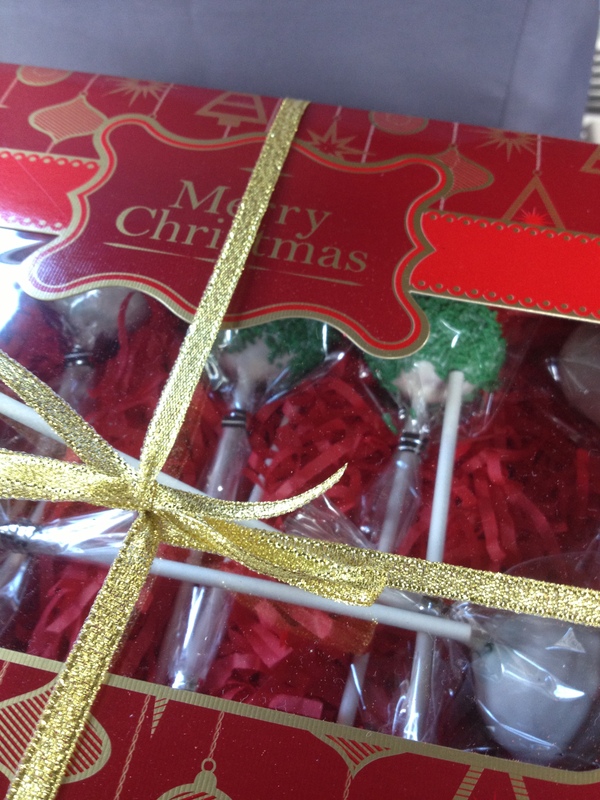 Thank goodness for those with sweet tooth! We’re Meg and Maggie, sisters-in-law thank you very much. We are wives to twin brothers (no episodes of confusion), mommy and mom-to-be, respectively, who are passionate for all things pretty and tasty. 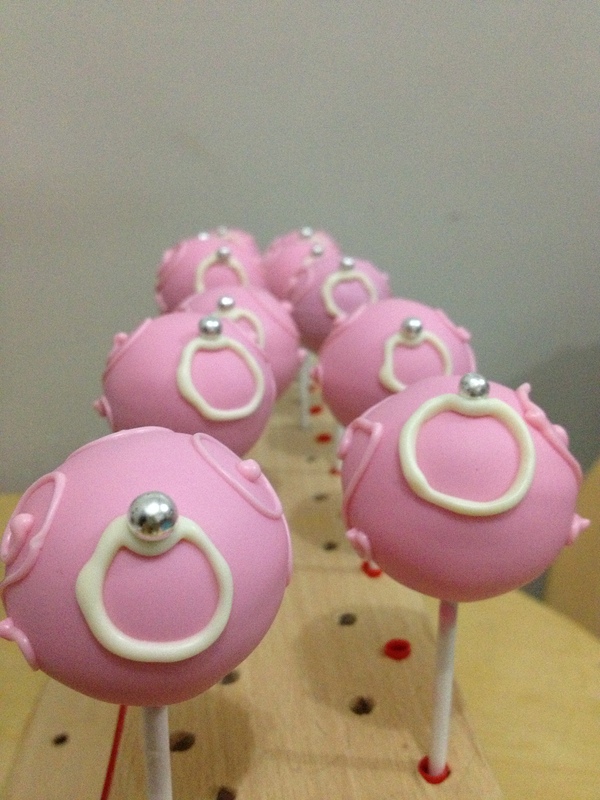 We started baking as a hobby, an outlet for our creativity. 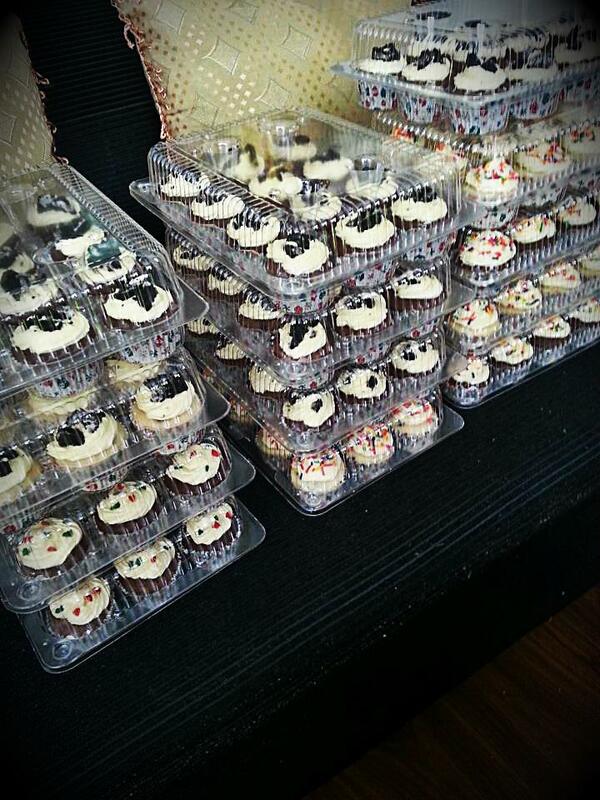 Thanks to our family and friends who liked our goodies, and encouraged us to start a small business, here we are! Welcome to BITES! 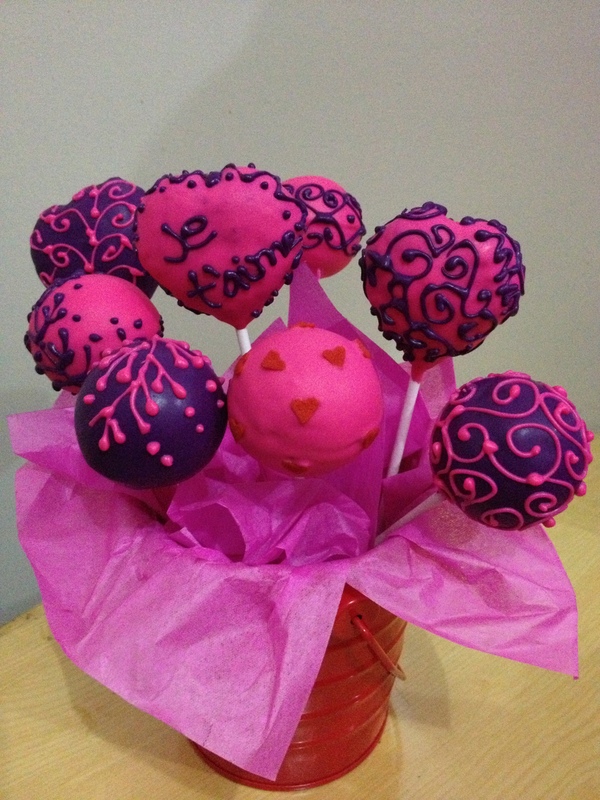 This is our online shop for cupcakes, cakepops and other sweet possibilities for birthdays, gifts, weddings, engagement parties, company anniversaries, graduation, heck for all events! We are sharing our creations to everyone and, if interested, you can inquire about our products here. 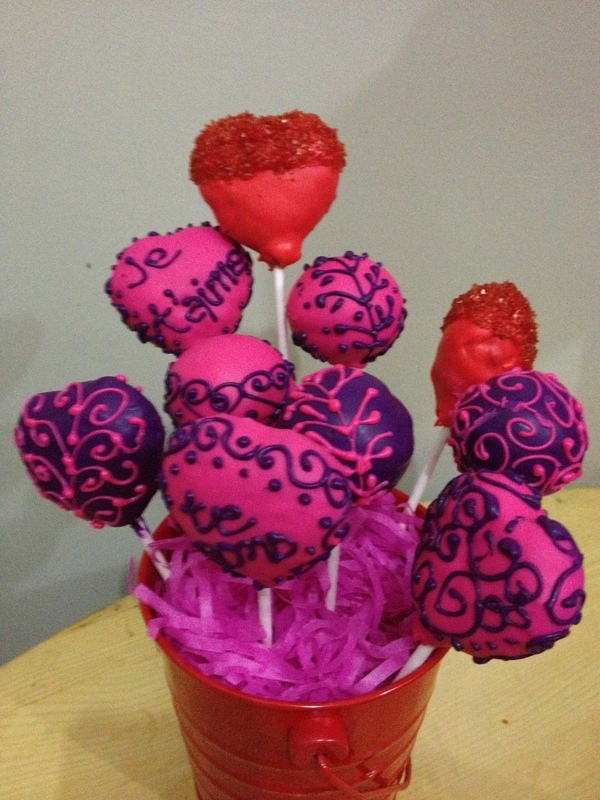 We accept orders for regular and custom-designs. We would also like to hear from you. Please leave your comments, testimonials and even suggestions here. Any feedback is better than no feedback. 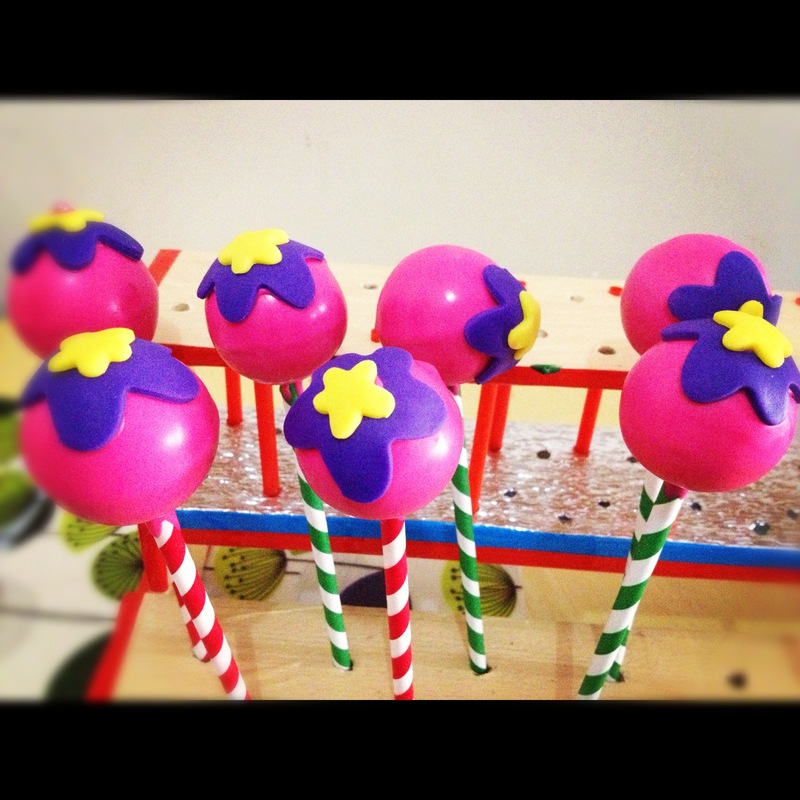 Hoo hoo hoo Wants Some Cakepops?